For the first time ever at a Jump racecourse, Cheltenham will host a raceday devoted exclusively to races for fillies and mares. Taking place on day two of The April Meeting, Thursday, April 19, the mares’ raceday offers a seven-race programme, with £190,000 in prize money. The richest races are the £40,000 Listed European Breeders Fund/TBA Mares’ Novices’ Handicap Chase Finale and the £40,000 Kingston Stud Supporting The IJF 4-Y-O Fillies’ Juvenile Handicap Hurdle. 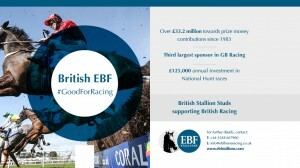 The British EBF have focused their support on mares in National Hunt racing for some years, following investment in projects run in conjunction with the TBA and British Horseracing Authority. The organisation funds 12 mares’ novice/ novice handicap chases each season which culminate in this flagship event at Cheltenham. The series is worth a total of £165,000 with EBF investment at around £30,000. Simon Claisse, Regional Head of Racing, South West & Clerk of the Course, Cheltenham, said: “I am delighted that Cheltenham is to be the first Jump racecourse to stage an all-mares’ racecard. “The running order on the second day of The April Meeting previously had four all-mares races on it and we very much hope that the seven races will be well-supported. 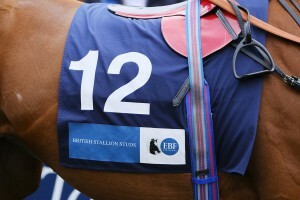 The deadline to nominate two year olds to the European Breeders Fund by a stallion not registered to the EBF is on February 15th. Kerry Murphy of the EBF explains, “owners and trainers looking to campaign a horse in Europe should check that it is EBF nominated as over 80% of two year old maiden/novice races in GB, Ireland, France and Germany are confined to EBF eligible’s. By nominating, your horse will be qualified to compete for a pool of over €5million available in added prizemoney. This nomination stage largely relates to horses by stallions standing in the US and Japan”. The current fee is $3,000 or equivalent up to 15th February and will rise to $6,000 after this date. The European Breeders Fund was launched in 1983 to boost the value of two year old maiden races and has expanded to include GB, Ireland, France, Germany, Italy and Switzerland with Czech Rep and Spain also registering stallions to the programme. The EBF has paid out over €100,000 towards prizemoney throughout Europe as well as supporting valuable veterinary research. Predominately funded by stallion owners contributing to the fund it is one of the largest and most consistent supporter of European racing and breeding industries. DETAILS of the British EBF’s £1.6million investment in racing were published today as the organisation’s first dedicated annual review was circulated to the industry. Over 630 flat races carried EBF conditions in 2017, the races being confined to the progeny of stallions contributing income to the fund or individual horses “opted in” by their owners. The record breaking contribution to prize money covered races that held a total prize fund of £6,713,900. Of equal importance to the remit of the British EBF is a responsibility to National Hunt racing; 84 jumps races were run in 2017 under the EBF banner supporting over £650,000 of prize money. In addition to prize money boosts, support is given to the Flat and National Hunt stallion parades; the TBA Stars of the Future National Hunt Foal Show and important equine veterinary research projects. Working with the BHA and racecourses, the British EBF have developed series of races to bolster industry initiatives to enhance the racing opportunities for fillies and staying juveniles. National Hunt projects are focused on fillies’ programmes but the ever popular EBF National Hunt Novice Hurdle Qualifier series with its valuable £75,000 final continues to be a flagship investment of this discipline. The 2017 British EBF review will be emailed out with a link to a PDF document to trainers, stallion owners, racecourses and industry bodies as well as being downloadable from the EBF website and social media streams.